Since 2016 we have stocked the Aura XB at CEG, but throughout 2017 we significantly expanded our Martin lighting stock. 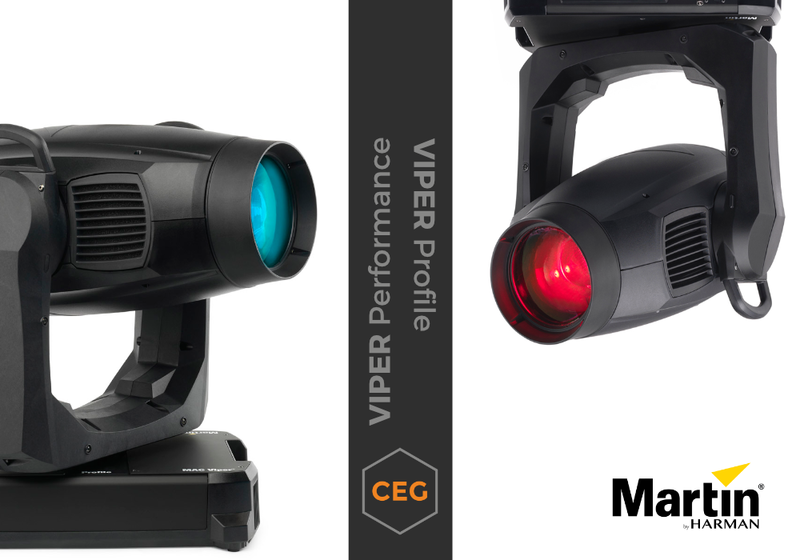 We have added the popular Viper Profile & Performance, as well as the exciting VDO Sceptron LED fixtures to our inventory. If you want to see these lights in action please do drop us a line for a demo at our warehouse in Cambridge. Get in touch to find out more details - [email protected] or 0203 603 0179.